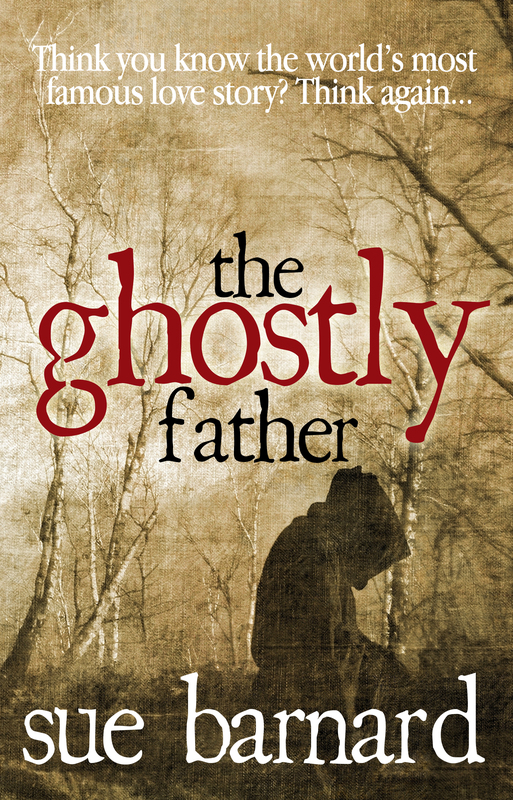 Today I am part of the Book Birthday Blitz for The Ghostly Father by Sue Barnard. Today is this book’s birthday and I absolutely loved this one! There is a bonus for those of you in the UK that I am quite envious of as I am in the US: There is a giveaway going on to win a signed copy! Ever since we had to read Romeo & Juliet in ninth grade, I have been a fan of the story. I don’t know why it resonated with me so much. We watched the 1968 film version in school which I also loved. And while I was in high school, the 1996 version with Leonardo DiCaprio and Claire Danes came out and I loved everything about it, including the director’s new take on the ending! I have not watched either movie in years, but reading The Ghostly Father had me wanting to watch these films again! The Ghostly Father is a very unique retelling of Romeo & Juliet: What if the story we all know was actually real and was very different in reality? The Ghostly Father takes place in present day with Juliet Roberts translating a very old Italian manuscript for her grandfather. Once she realizes this is the real story of ‘Romeo and Juliet’ she is transported into the past and has no idea how this ‘story’ will end. I highly enjoyed that the manuscript takes place with a different character perspective: ‘Friar Lawrence’ (Brother Lorenzo) is our narrator! I always liked him, but why was he so interested in these young people’s lives? I enjoyed that we got to know him as a person. Barnard gives us her take on the story and it does not disappoint! She is faithful to Shakespeare and the original characters and makes it her own including many twists; you really don’t know what will happen next or what Barnard will change from Shakespeare’s story. Will different people live and die? How will this version end? If you are a fan of Shakespeare’s Romeo and Juliet, give The Ghostly Father a read. You will not be disappointed. The Ghostly Father is very highly recommended! Buy The Ghostly Father here. Win a signed copy of The Ghostly Father! *Terms and Conditions –UK entries welcome. Please enter using the Rafflecopter box above. The winner will be selected at random via Rafflecopter from all valid entries and will be notified by Twitter and/or email. If no response is received within 7 days then Rachel’s Random Resources reserves the right to select an alternative winner. Open to all entrants aged 18 or over. Any personal data given as part of the competition entry is used for this purpose only and will not be shared with third parties, with the exception of the winners’ information. This will passed to the giveaway organiser and used only for fulfilment of the prize, after which time Rachel’s Random Resources will delete the data. I am not responsible for despatch or delivery of the prize.